Soooo cute! 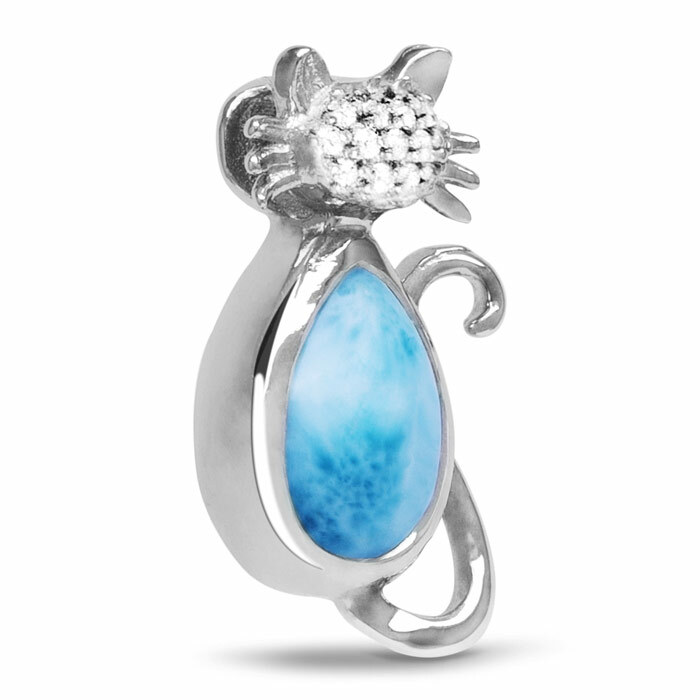 Our Cat necklace lies close to your heart, sparkling with white sapphires, gleaming mysteriously, sitting pretty! The compliments will never end! Product Details: 9x12mm larimar gemstone with white sapphire and white rhodium plated sterling silver. Overall size is 11x21mm. Comes with an adjustable 21” sterling silver chain with an easy, sliding mechanism and lobster clasp that you can set to the perfect length for your look!